New York, NY- Welsh rock band Bullet For My Valentine’s album Fever debuts this week at #1 on both the Rock and Alternative charts and #3 Billboard’s album chart. The highly anticipated 11-track record featuring the fuming single and video “Your Betrayal” was released on April 27 and is BFMV’s top selling debut to date, selling over 71,000 units in the first week, a 34% increase over BFMV previous 2008 release Scream Aim Fire. The fever has spread across the globe where Fever has made its mark on international album charts, hitting #2 on Japan’s “international artist chart”, #2 in Austria, #3 in Germany, #4 in Switzerland and #5 in the United Kingdom and Australia! 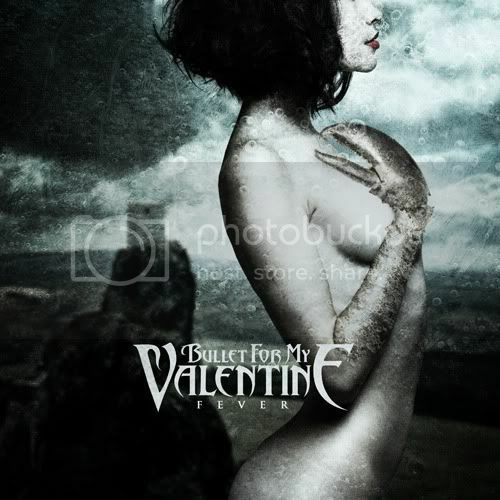 Bullet For My Valentine is currently in the midst of a sold out national tour with support from Chiodos and Airbourne. Fans patiently await BFMV’s celebratory performance tonight at Cannery Ballroom in Nashville, TN and the band’s upcoming show at Ohio’s Rock On The Range May 23rd. Fever is Bullet For My Valentine’s third album and follows 2008’s Scream Aim Fire. The album was produced by Don Gilmore (Linkin Park) and recorded in both the band’s native Wales and Los Angeles.